Pawan Goenka, Managing Director, M&M has confirmed that the new electric SUV will be launched during 2019-2020 financial year, and we believe it could be based on the KUV100. Mahindra and Mahindra will be launching its first electric SUV in India in the next fiscal year. Pawan Goenka, Managing Director, M&M talked about the new e-SUV's arrival during the name announcement of the company's new MPV Mahindra Marazzo, which was earlier known by the codename U321. 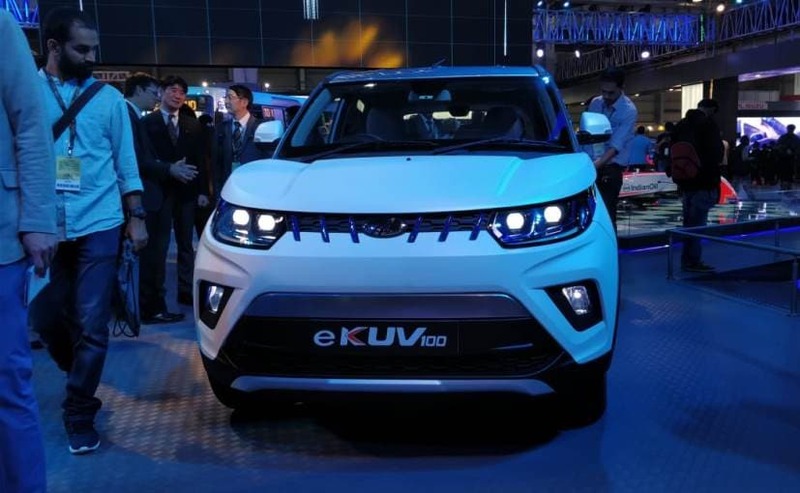 Goenka confirmed that the new electric SUV will be launched during 2019-2020 financial year and while he did not give us the name of the e-SUV, we believe it will be based on the KUV100. We say this because, earlier during the launch of the Mahindra KUV100 facelift, Pawan Goenka had mentioned that Mahindra is planning to introduce electric versions for all its future crossover and SUV models, and the KUV100 EV will be the first one to be electrified. We have already told you that the company is planning to introduce two new electric vehicles by 2019, and one of them is possibly the Mahindra KUV100 electric vehicle. Back then, when we asked Rajan Wadhera, President, Automotive Sector, M&M, whether the upcoming electric Mahindra KUV100 will also get the same powertrain as the one used in Mahindra e2o Plus, he said, "the electric KUV100 will get an all-new electric powertrain." Currently, Mahindra Electric, the EV arm of Mahindra and Mahindra, sells two electric vehicles in India - the e2O Plus hatchback and the e-Verito electric sedan. The carmaker also offers the e-Supro in the light commercial vehicle segment. Right now these are the only all-electric models from Mahindra that are on sale in India, and possibly by next year, we'll see the addition of an electric SUV as well. Earlier the company had also talked about the possibility of an electric XUV Aero Coupe, based on the Mahindra XUV Aero Coupe Concept, showcased at the 2016 Auto Expo. The company is currently working on a long-range electric motor which could go up to 350 km on a full charge, which could be the one used the XUV Aero Coupe EV.